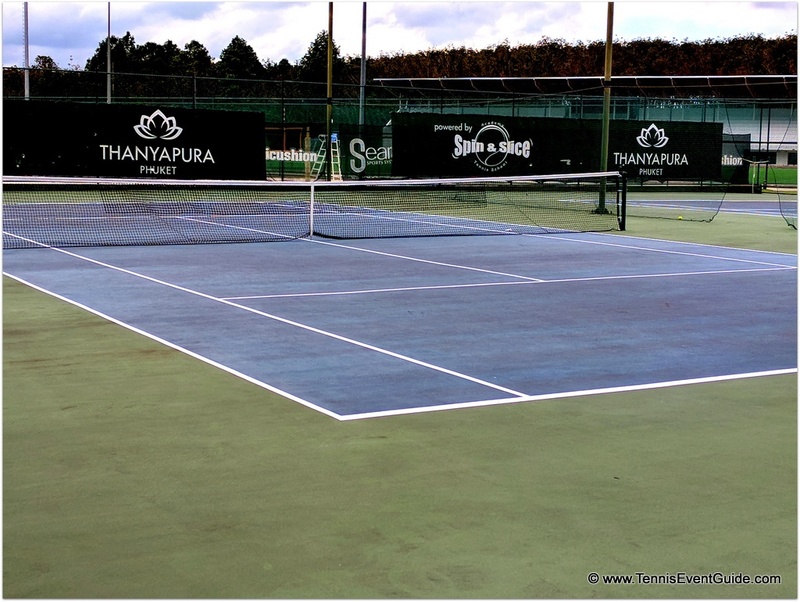 Thanyapura Tennis offers group clinics 5 days per week, private lessons and free cardio tennis 2 days per week. The daily clinics have a mix of locals (mostly ex-pats) and hotel guests playing. When there are a lot of hotel guests playing tennis, they segregate the locals from the guests. 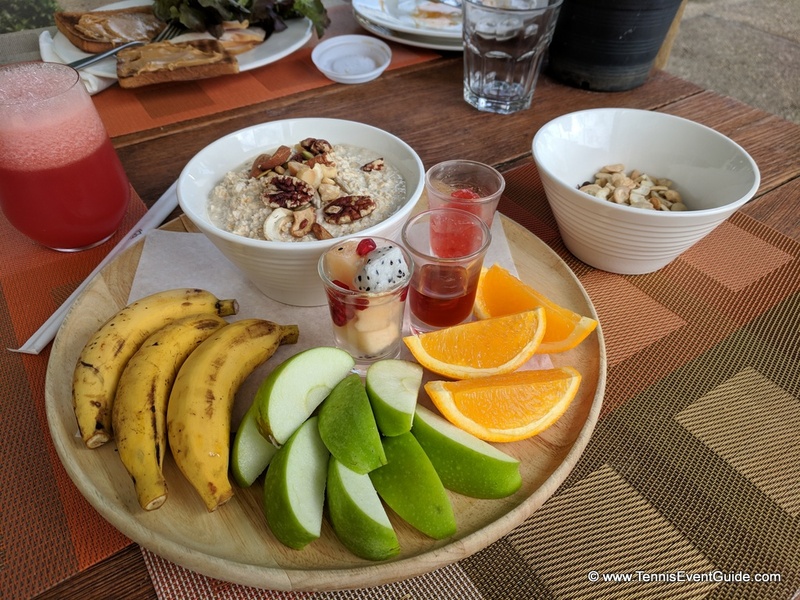 However, most of the year, the guests are mixed in and the locals and pros have developed a very doubles-focused routine to which everyone sticks, so it’s best to ensure the fixed sessions work for you before heading to Thanyapura. The 90 minute clinics offer about 30 minutes of warm up and drills, with about an hour of doubles matches (typical clinic in photo below). During the drills, the pros will feed lots of balls and offer a few tips. 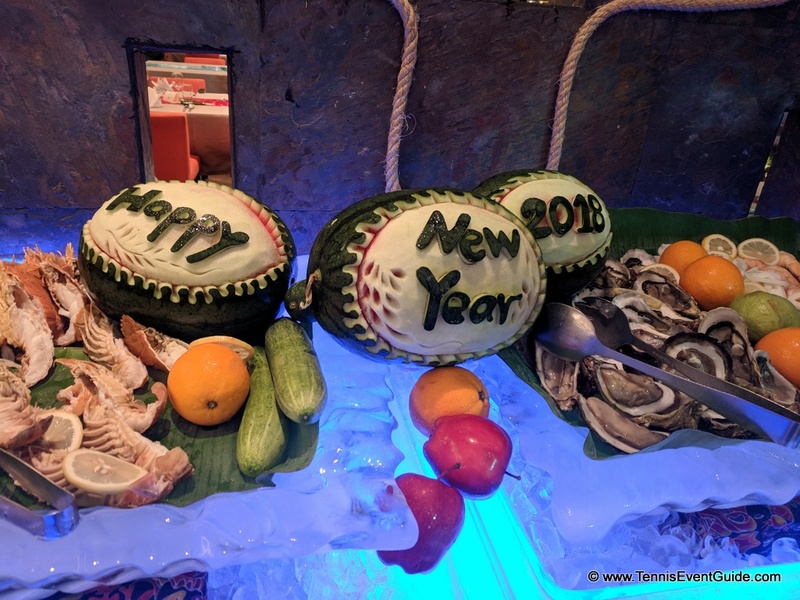 I did not clarify this offering before arriving at Thanyapura, and as a singles player, had to specifically request, many times over several weeks, that the clinics offer less doubles play and more active drills. Many of the pros were some form of junior champion players, so they know the game well, and can even teach to a variety of levels. However, designing drills that work with various group types and sizes is not their specialty. If you put in the effort to ask for the type of program you want, then the pros will likely meet you halfway and adjust some of the drills. 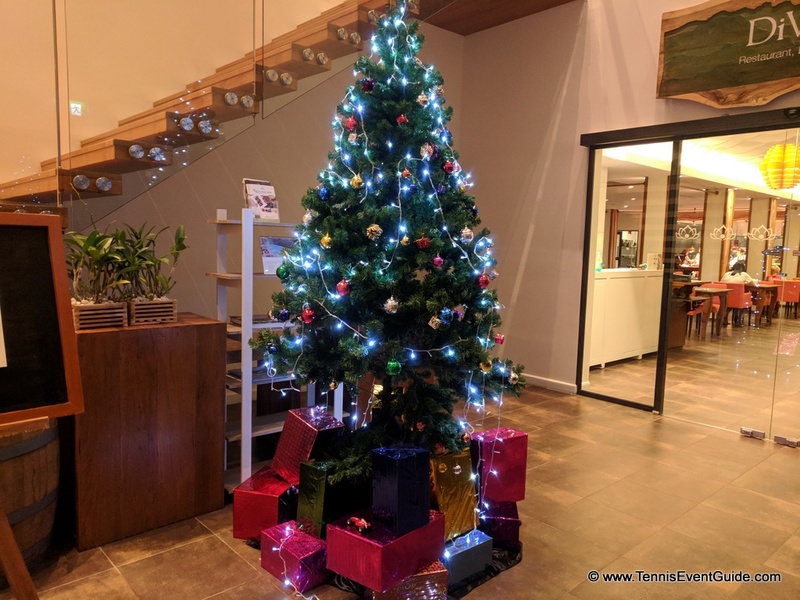 My recommendation is to make sure to be in touch with their tennis operations manager, Hanna (as of 2018) as much as possible in advance of your stay, to ensure the tennis program is as to your liking as possible. If you are wondering what the extra court lines are, they are for basketball courts. Thanyapura often plays host to children and students from around the world requiring them to multi-use their facilities. These taped-on lines were on 2 of the 4 indoor tennis courts for over a month while I played tennis at Thanyapura. 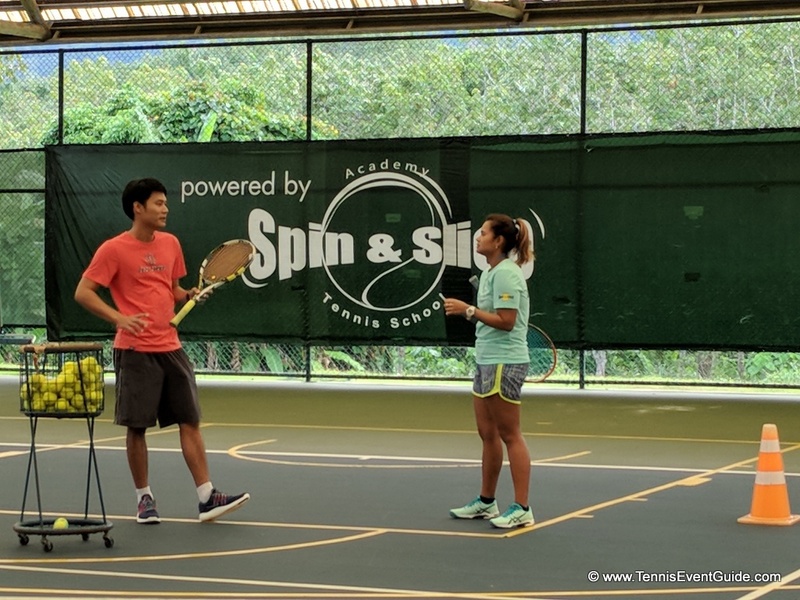 Despite requests from multiple morning clinic players, Thanyapura was unwilling to rotate players through the different courts on different days. Again, I highly recommend you coordinate as much as possible in advance of your stay to ensure you are able to play the type of tennis and drills you prefer on tennis actual courts. 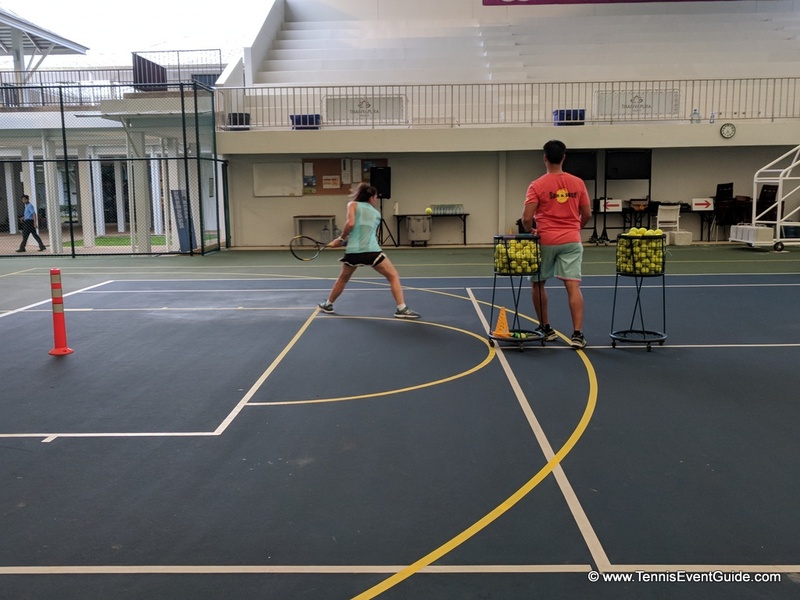 The cardio clinics, offered at no cost 2x per week, are a ton of fun and focused on footwork and hitting as many balls as possible, while using props like ladders and cones. I tried a few private lessons at Thanyapura when I arrived. My game needs a ton of work, but my personal sense was that these pros are great to hit with and excellent at teaching from scratch. However, I did not get the feeling teaching adults with some experience was their specialty. Be prepared to tell the pros exactly what you want to work on and if they seems like they are just going to hit with you, be clear you want an actual lesson. 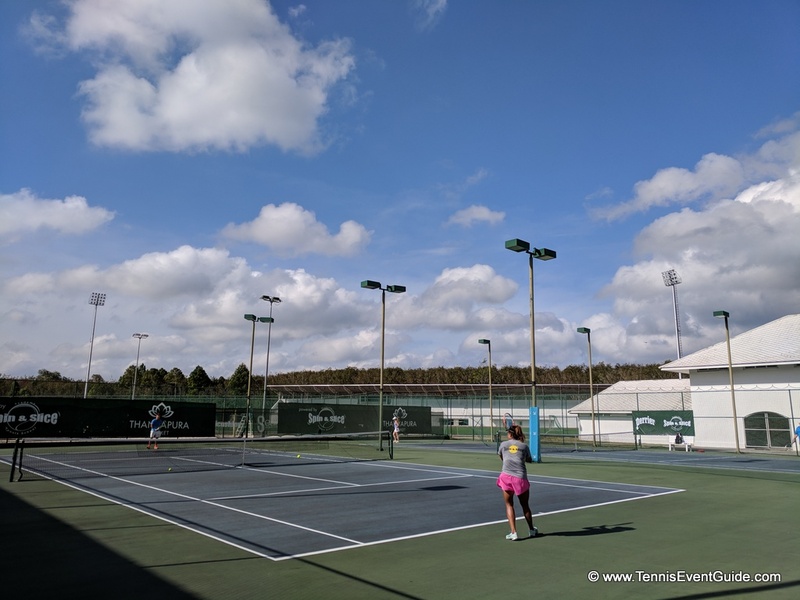 The best parts of my stay were the active parts of the clinics, when we were allowed to play on the tennis courts, and hitting with other guests and staff. There are no clay courts at Thanyapura, however, the Plexicushion hard courts are the same as those played on at the Australian Open. 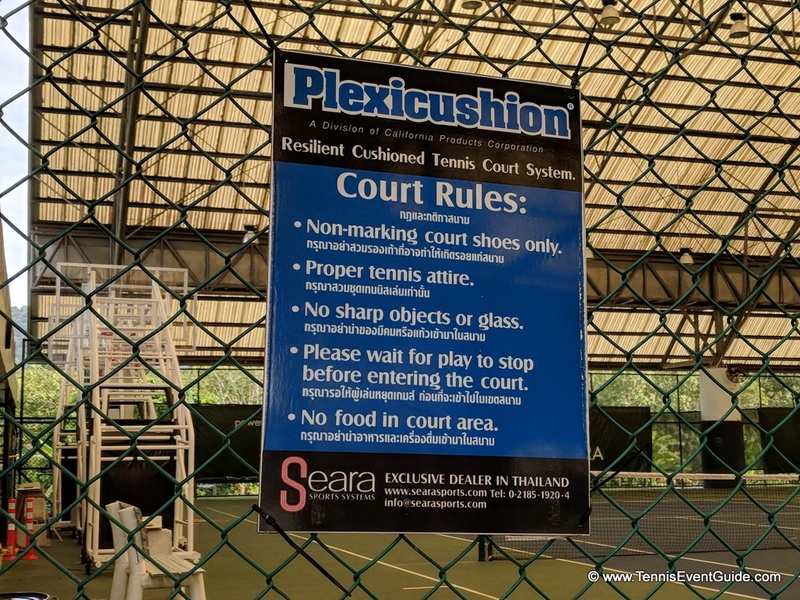 According to Plexicushion, the surface offers consistent bounce and sure footing while being easier on the legs and body than a typical hard court surface. 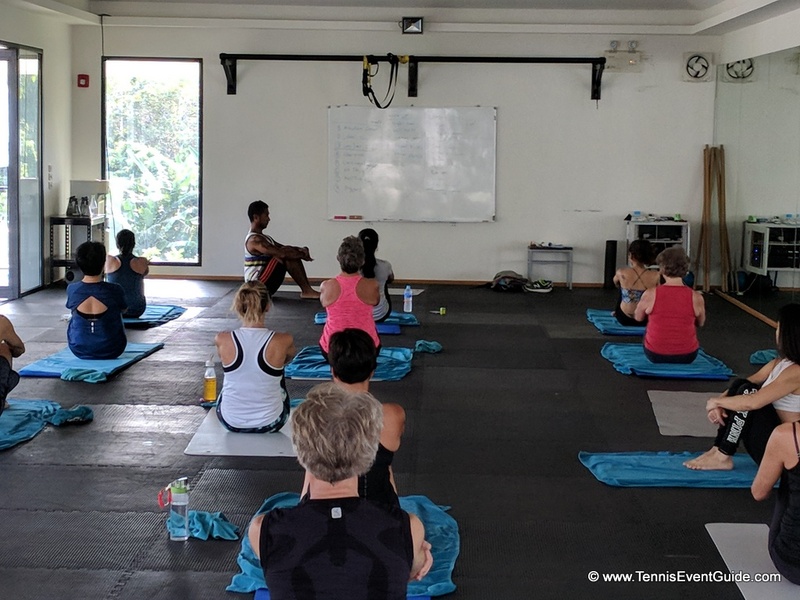 Thanyapura offers dozens of fitness classes 7 days per week. Cross-fit, yoga, pilates (even yogilates! ), boot camps, HIIT, muay thai and many more. 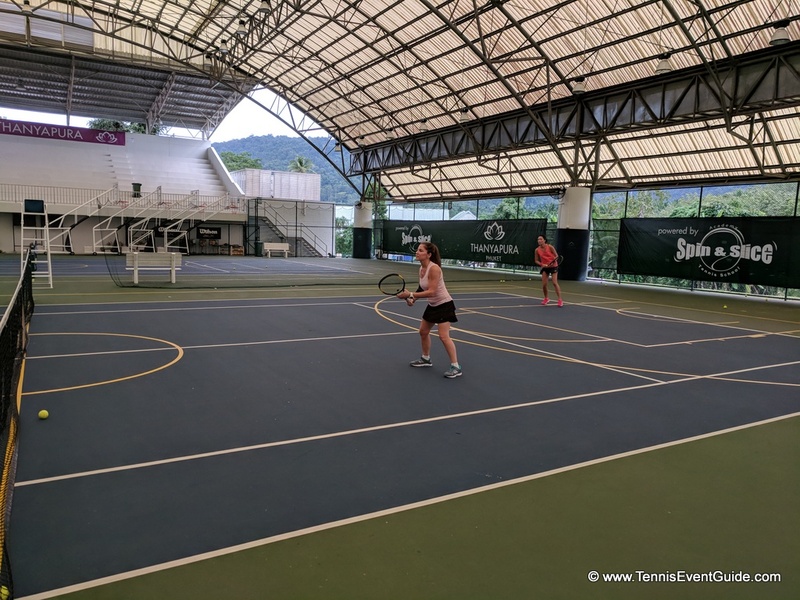 For those joining the Tennis Academy at Thanyapura, there is usually a conflict with wanting to play tennis and also participate in fitness classes, as they tend to take place at overlapping times. 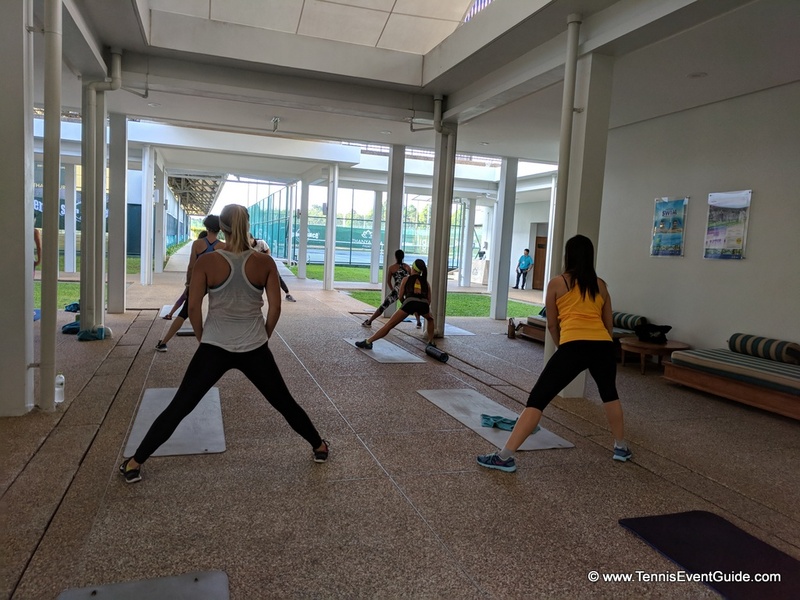 Most of the fitness classes take place around 8-11am and the daily tennis clinics from 8:30-10am, which means most days, you’ll have to choose one or the other. 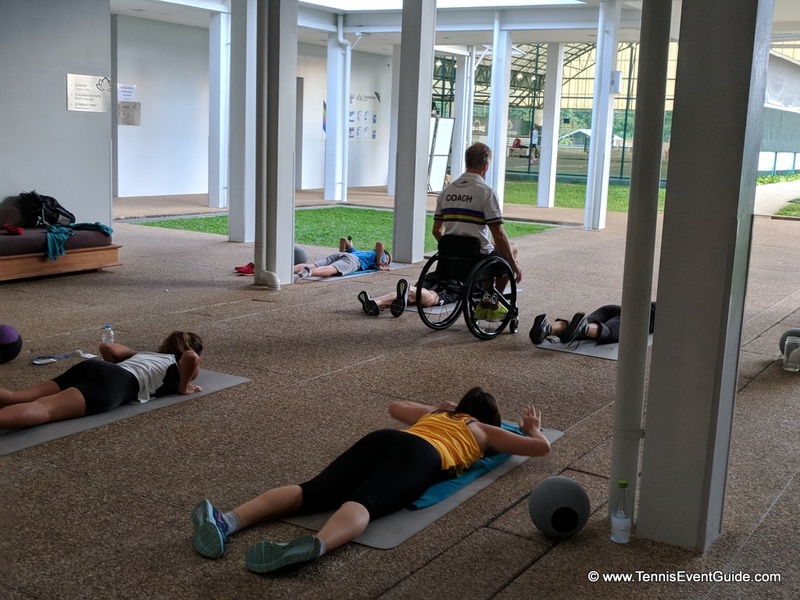 There is usually a scheduled activity gap in the middle of the day, and then more fitness classes are offered around 3pm-5pm. 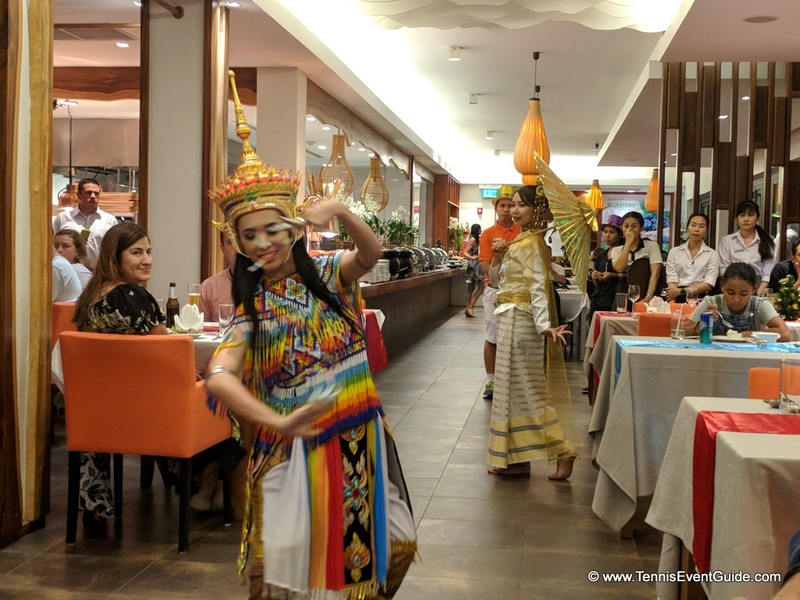 Thanyapura offers all the schedules on their website, so you are free to check in advance and plan ahead to make the most of your time at the resort. 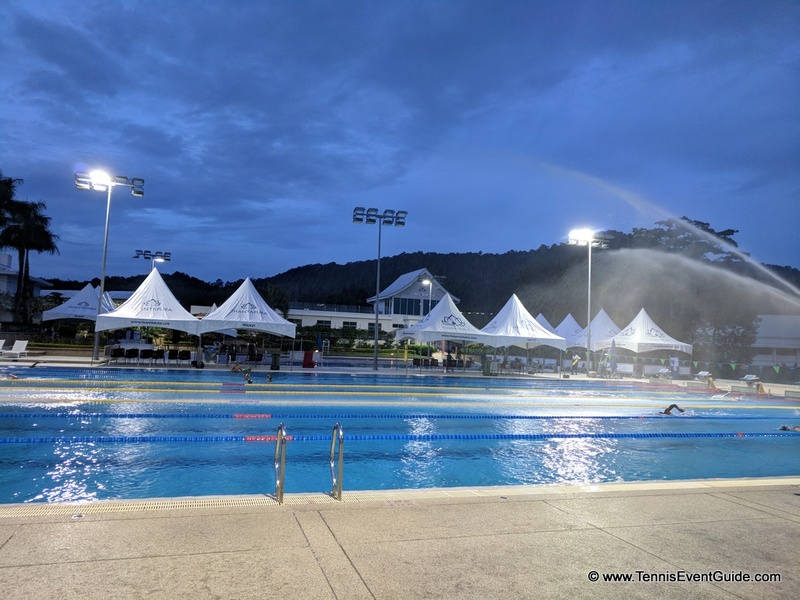 Thanyapura offers specialized and private training of all kinds – swimming coaches, personal training, parkour, Muay Thai, biking, weight loss, nutrition and just about anything else. There is also an outstanding medical staff on site should you want or need them in any way. The resort offers a daily free shuttle bus to the local beaches, from 2pm to 5pm every day. Layan Beach (Mon-Wed-Fri-Sun), Naithorn (Tue-Thurs-Sat). 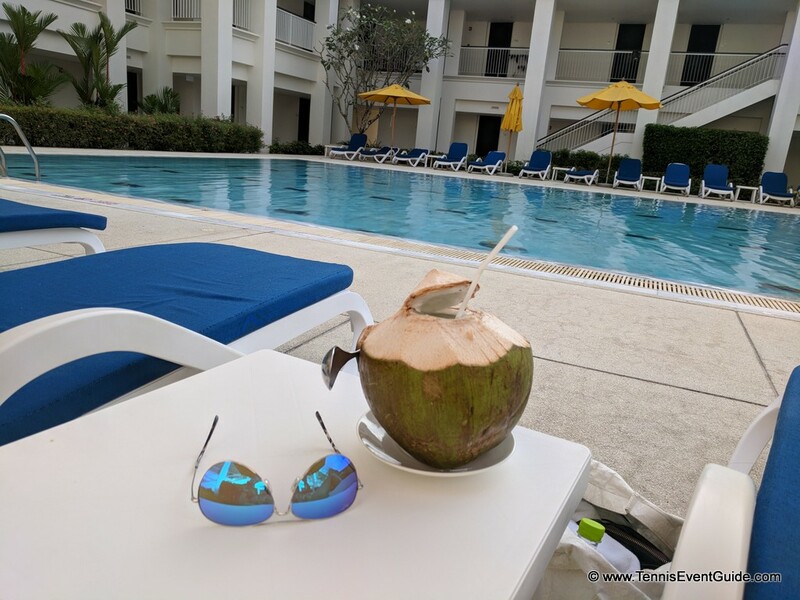 And then my personal favorite pool…the relax on your bum and sip coconut water pool (aka…the bikini pool). 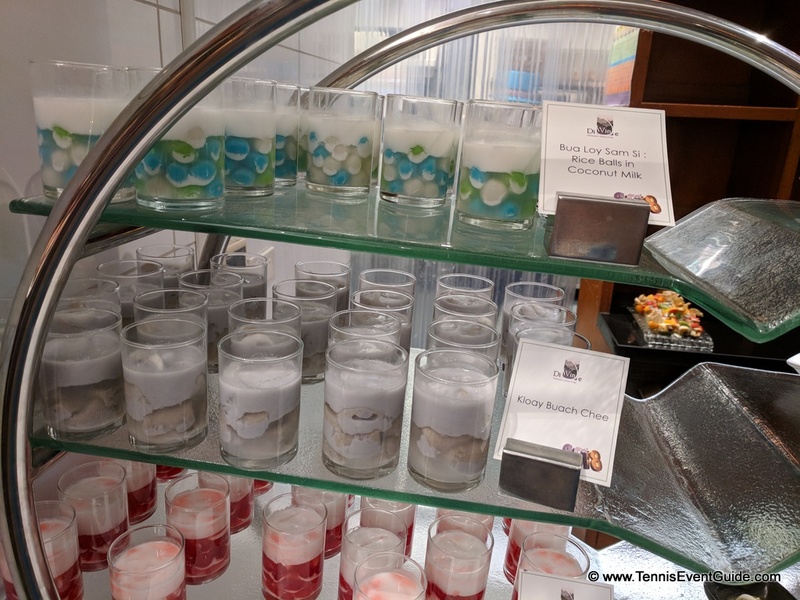 Here they offer a swim up bar with snacks and drinks for purchase. This pool is the location of the Poolside Room Guest Wing and you can see the rooms around the pool. While overall, the hotel is very quiet, should you want to make sure to avoid all noise, stay in the Garden Wing, which is dead silent other than the sound of toads at night. The rooms at the Garden Wing are also slightly newer. When the hotel hosts large groups of children or families, they stay in the Pool Wing. Again, the hotel is very quiet at night since everyone is so exhausted at the end of the day from the activity. 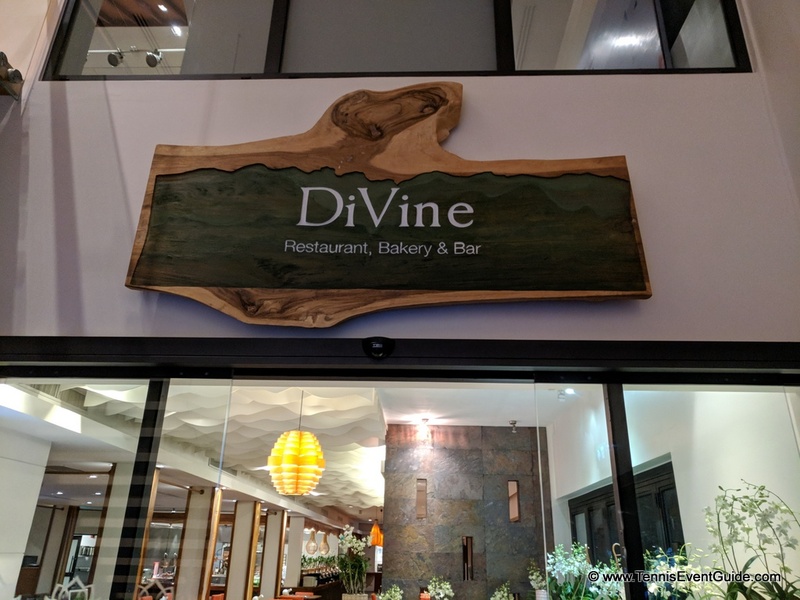 DiVine is the main dining room, offering three buffet meals per day as well as an a la carte menu. 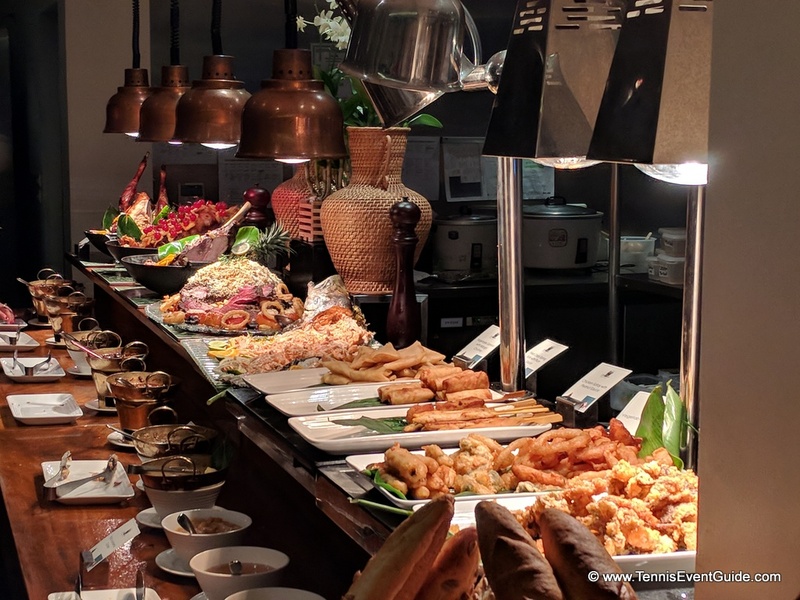 Menu adjustments are made based on the hotel capacity, so there is not always a dinner or lunch buffet. 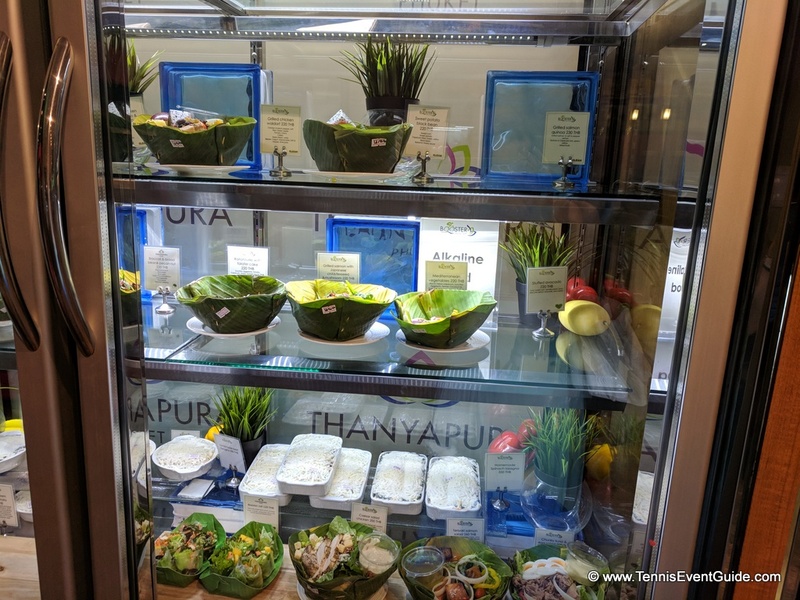 All three meals offer a mix of Thai/Asian and Western foods and plenty of healthy choices. Since many people are in serious training (triathlons, marathons, etc), the staff is very used to high levels of customization and skilled at addressing all kinds of dietary preferences – gluten, dairy, carbs – these people know what they are doing. 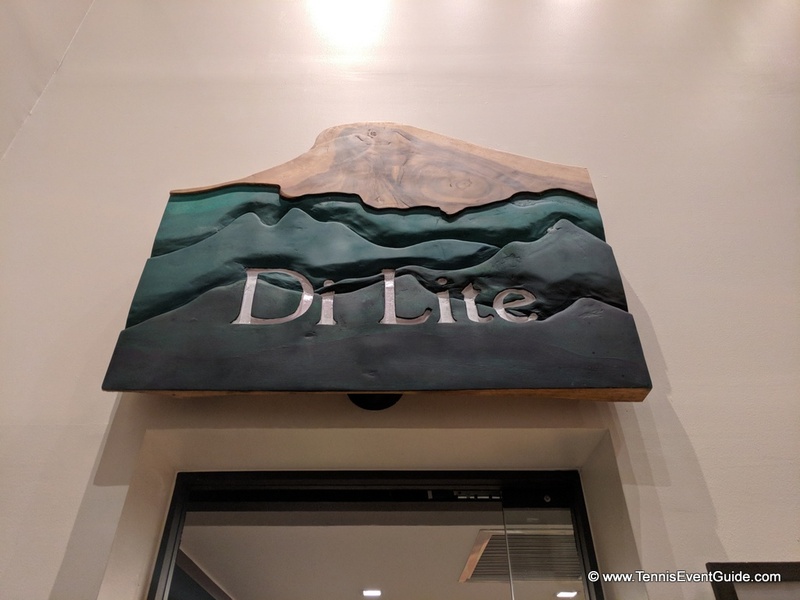 Di Lite only had a small soft opening there, so I didn’t really get to experience their cuisine other than a few dishes. 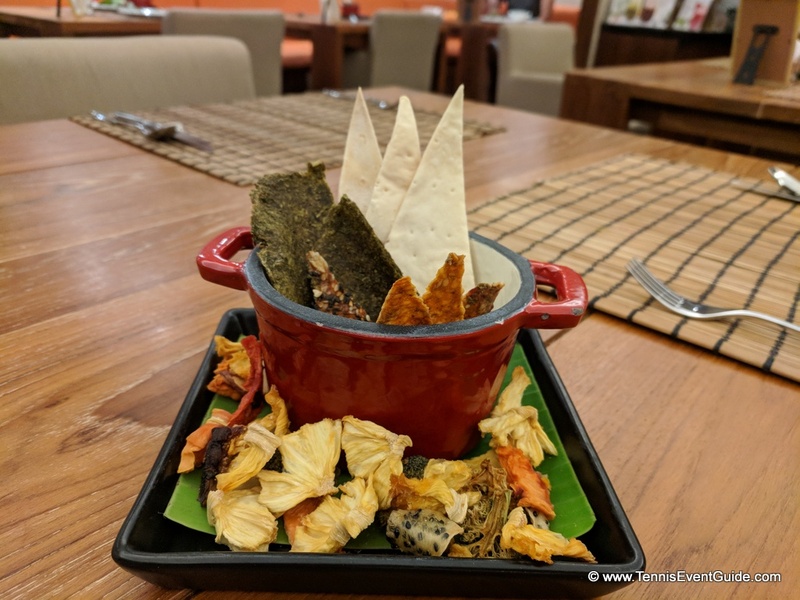 But should Vegan be the way you eat, there seemed to be plenty of choices and the presentation was lovely. 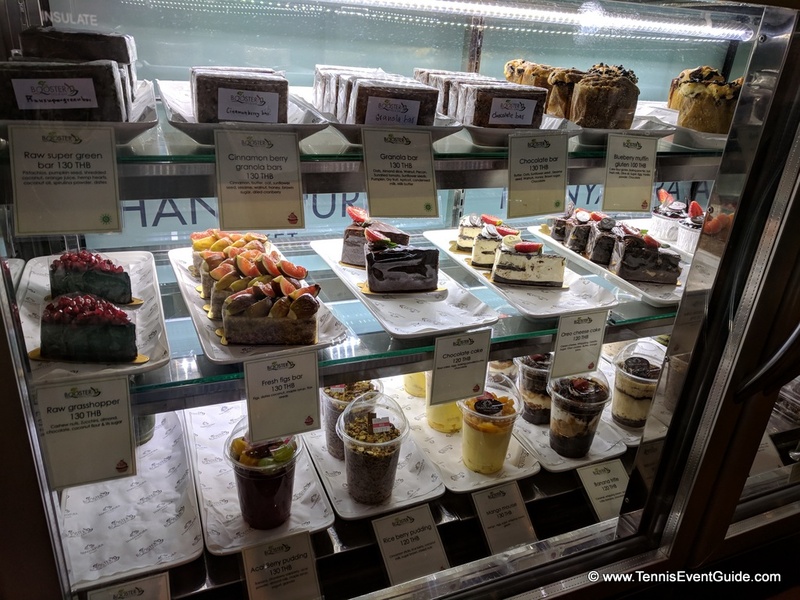 This turned out to be my favorite place to eat and while it was very casual, it had an amazing selection of sandwiches, salads, smoothies and juices and most anything else you might want from morning til night. 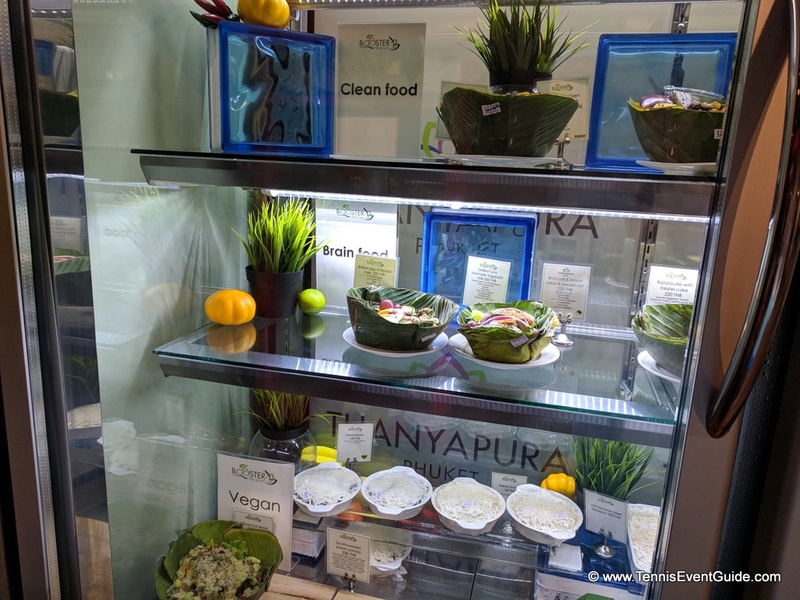 They offer "brain food," "clean food," "alkaline food," and about 5 other options. 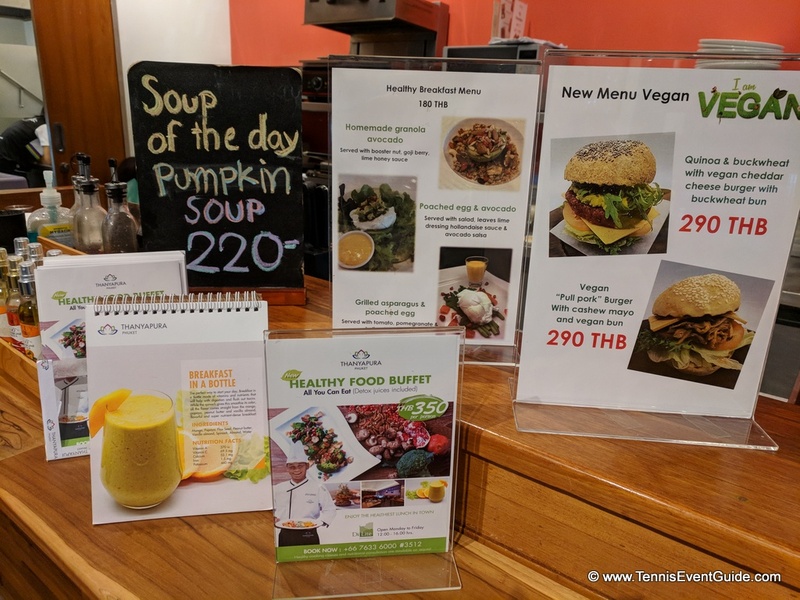 This grab and go style menu was reasonably priced (at the time of this writing, it is roughly 30 THB to 1 USD) and the perfect way to load up between training sessions. The outdoor deck overlooking the training pools was lovely and a great hang spot for everyone at the hotel and from the International Day School next door. 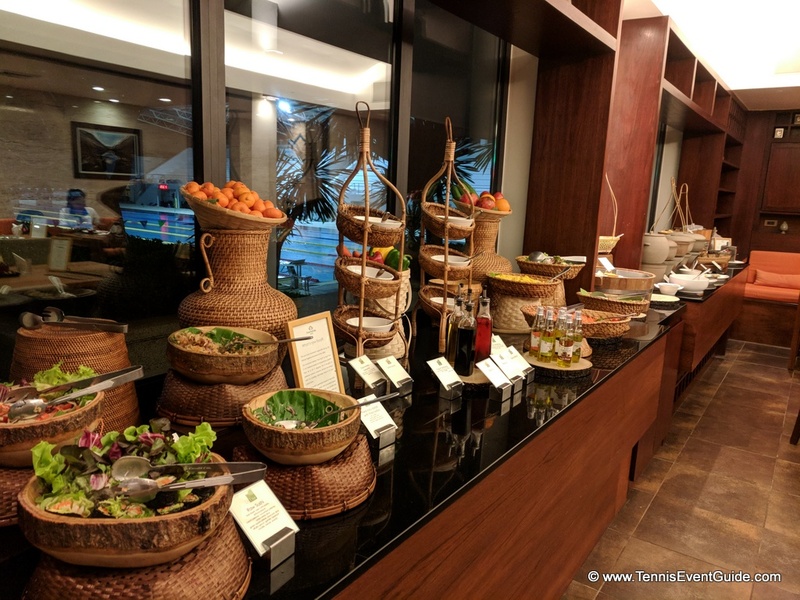 Other dining nooks at Thanyapura include The Lounge, a smaller dining room and the Poolside Bar, with snacks and drinks, a pool table, ping pong and a lovely open-air feel to enjoy all the glorious Thai weather. My garden view room was just spectacular. Not in a 5 star kind of way (though it was pretty close) but in a quiet, cozy, one-with-nature kind of way. I’m a city girl (born and bred NYC) and usually can only sleep to the sound of sirens, but wow did this place lull me into a deep sleep every single night. 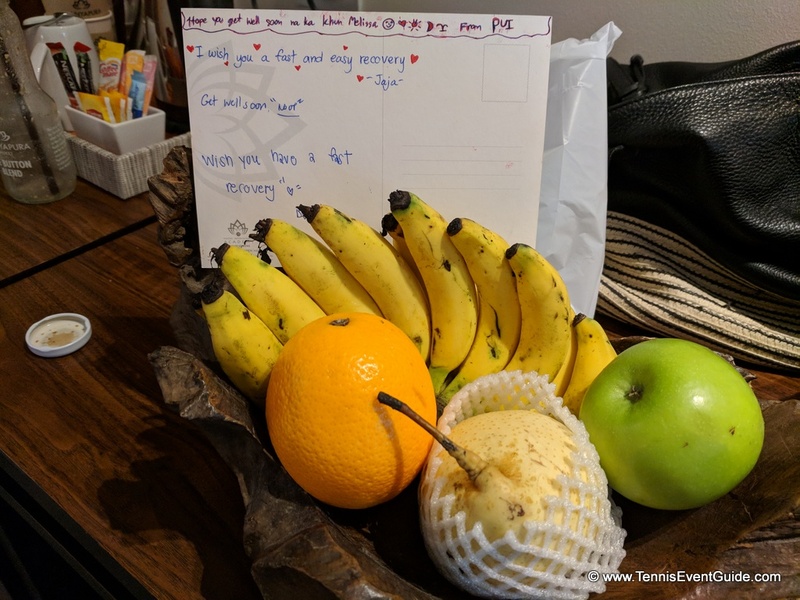 The beds are comfortable and the little refrigerators kept my juices and smoothies from the Booster Bar cool and on hand for my snack cravings. The laundry was easy to do and every room comes with a drying rack since everyone goes through clothes often here. The patio was ideal for working and reading and for the bikers out here? Bike hooks in every room! This place caters to athletes in every way. The housekeepers are lovely and if you’re lucky, they will leave you a little present. 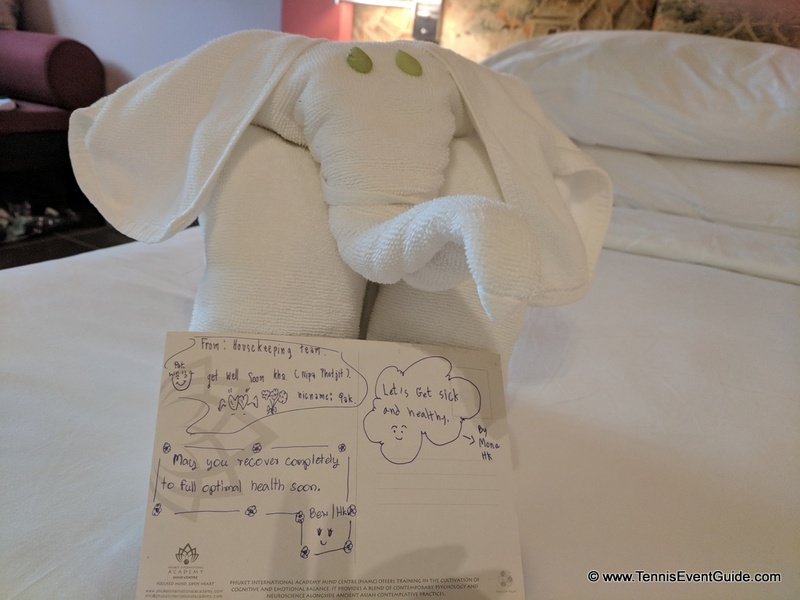 I was ill in Phuket (totally unrelated to the resort) and everyone on staff was so kind to me during my recovery. Tell me these little presents and notes wouldn’t perk you right up?????? On the other hand, these lovely housekeepers are are very diligent when it comes to throwing away things that may look like garbage (ie, an empty package you still need to return something to the store), so make sure to hide anything that may be misinterpreted as trash. Do these photos need any explanation? You may not know me, but let me tell you, this is me having the TIME OF MY LIFE!!! Outside of Thanyapura, spending time with these amazing creatures was the BEST thing I did in Thailand in three months! 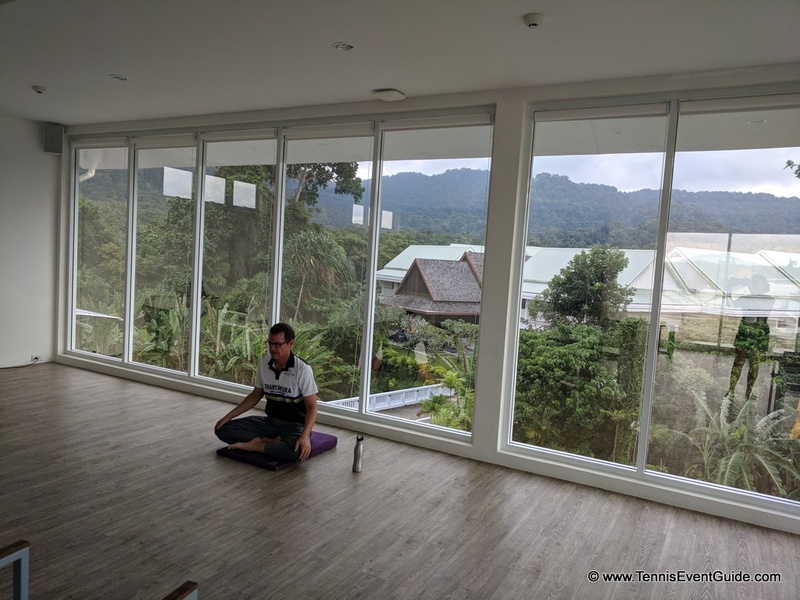 The Elephant Retirement Park Phuket (www.elephantretirementparkphuket.com – I did the Half Day Program) was INCREDIBLE! Really – just go book it now. It’s amazing for all ages, families, singles, really anyone. They take such good care of the elephants, run as a non-profit (I’m pretty sure), and you get the most unique experience learning about elephants, feeding them, bathing with them, scrubbing them and much more. If that weren’t enough, my skin never looked as good as it did after a day in that mud. 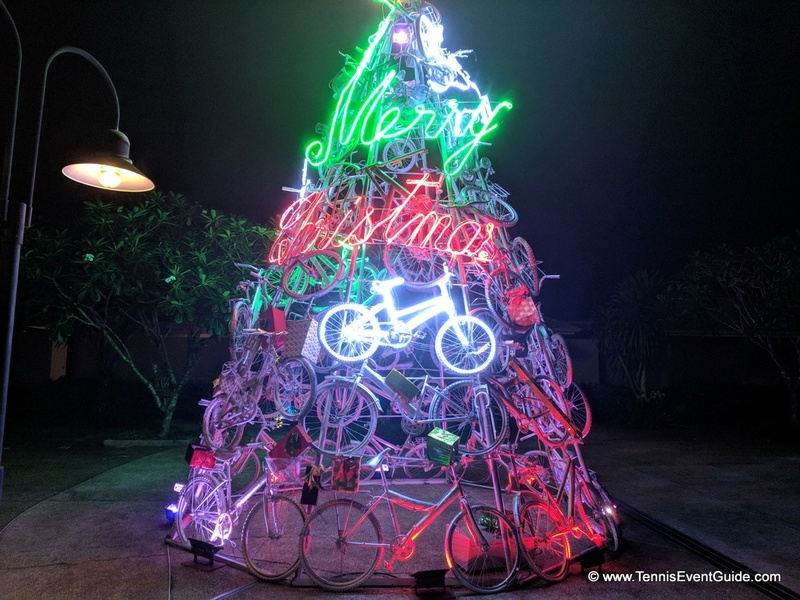 The athletes Christmas Tree – all bicycles! 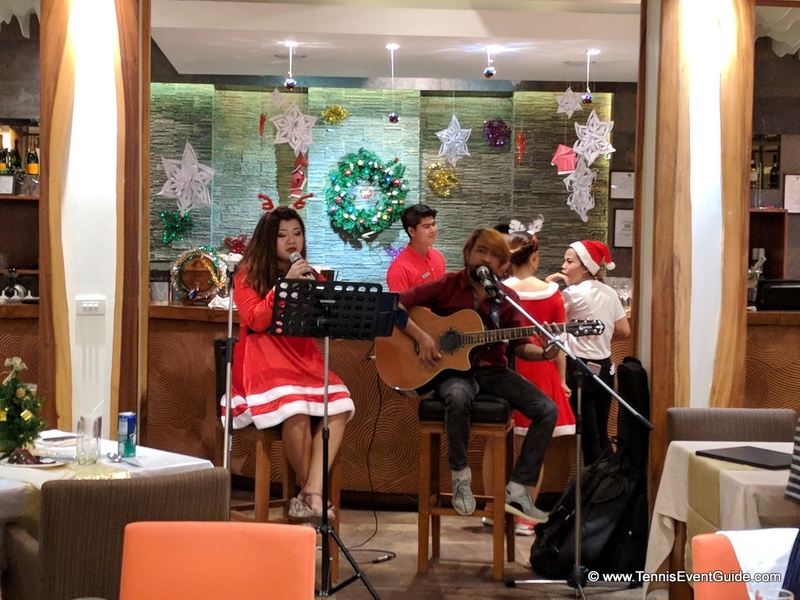 Christmas Eve buffet extravaganza with live music and entertainment. **Disclosure** I was not invited to or compensated for my stay at Thanyapura. 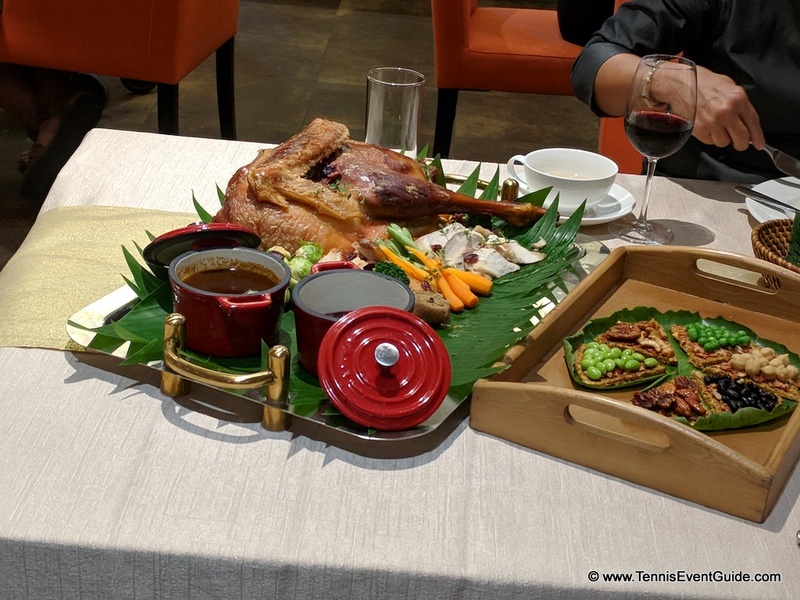 I was provided a standard long-term guest rate and then informed the hotel I published a tennis website and would likely write up a review of my time there. 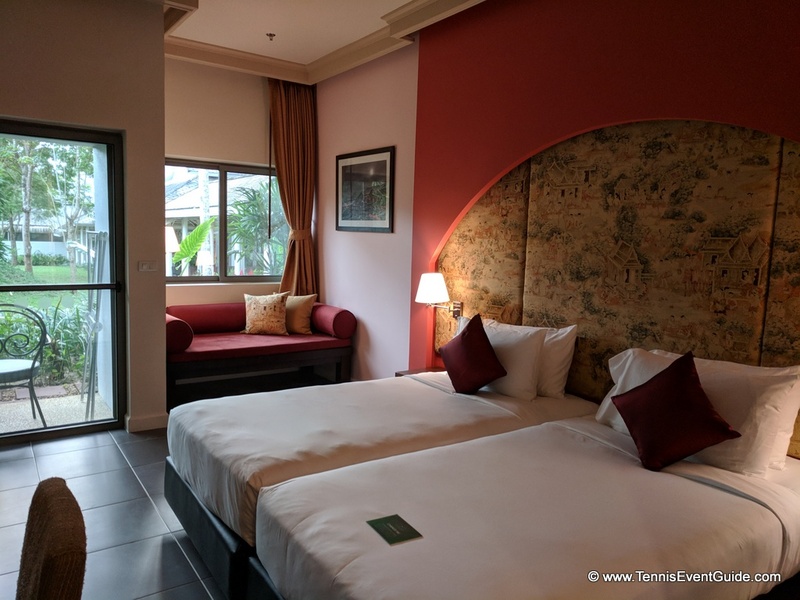 I do receive some compensation should you choose to click through my links to reserve your stay at Thanyapura, however, this is in no way reflects my honest and unbiased review of my stay here.